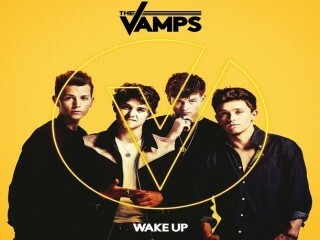 The Vamps announce new album Wake Up for the fall, give some details about it and about the upcoming title single. The Vamps recently made the announcement that they’re returning with a new album this fall. It is called Wake Up, set to be out on November 27th, and will be followed by a world tour, which include a number of intimate "fan rally" shows, but also some arena dates in April. Conor Maynard will support The Vamps on their arena tour (with the exception of Dublin and Belfast) as well as The Tide and Hometown. While the single cover was revealed, the boys’s new single will be released on October 2nd, so there still is some time to wait until its first audition. Tickets for the arena tour will go on sale on November 7 at 10am and costs £9.50.